Never stay hungry... Get your favourite food delivered from your favorite restaurants right to your doorstep with just a few taps. 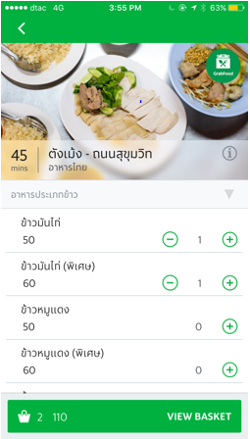 GrabFood is a new food delivery service that helps you getting delicious food from local and popular restaurants in Bangkok. You can easily order via Grab app. What is GrabFood’s coverage area? 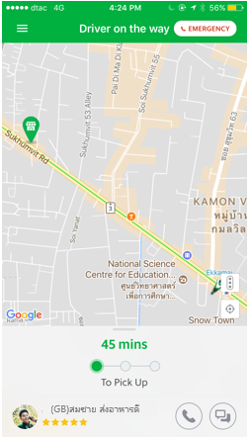 Currently, GrabFood is available only in Siam, Silom, Sathorn, Yaowarat and Sukhumvit. We are always looking to expand our services, so stay tuned! How do I use GrabFood? 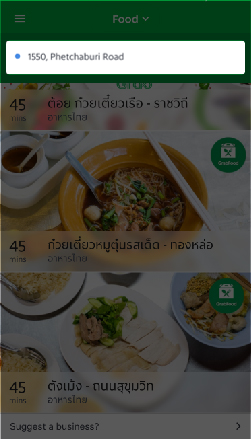 Choose “GrabFood” as a service type. You are able to see only restaurants that are located 4 km. around you. Place your order and you can also track your meal in real-time. 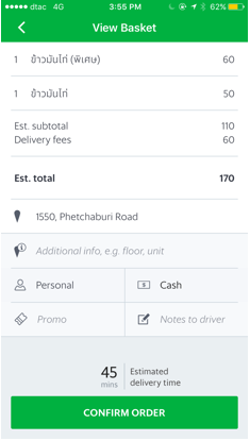 How does GrabFood calculate the delivery fee? In this beta launch, you are able to pay via cash only. You can cancel your order only before our driver place your order. If there is an GrabFood related issue, what should I do? You can call to our call center at 02 021 2515 at office hour 9AM – 11PM or https://help.grab.com/hc/th/categories/115002258448. We will get back to you within 1-3 working days.